Indiana Limestone is the fabric of many of our national monuments and landmarks. It is a container for national memories. It is a blending of histories. Its soft texture and neutral colors from warm to cool make it a perfect material for public commissions. 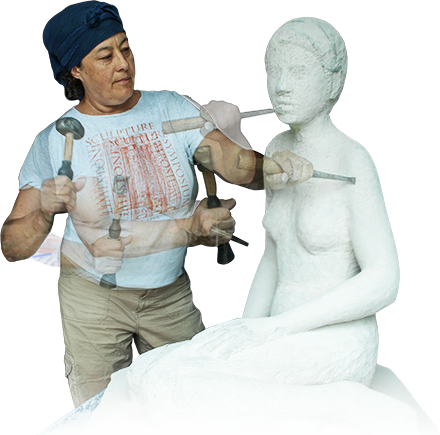 I make my carvings to be touched and interacted with, to give dimension to the aesthetic experience. 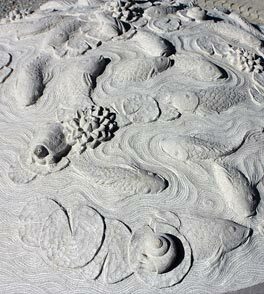 By interacting with my carvings, people are moved from passive consumption of art as commodity to an active contemplation of contemporary art with a playful touch. 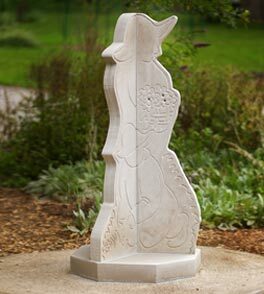 Carved directly in stone, my work combines traditional carving techniques with contemporary art ideas. I believe that the goal of contemporary art is to forge connections between people, and my interactive sculpture lets the viewer be a part of the creative process. In this age of technology, the handmade object becomes more precious. I finish all of my work with mallet and chisel to leave tool marks. However slight, the marks catch the light and are what give the pieces life. 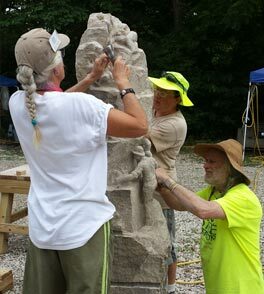 Co-founder, instructor, and current president of the Indiana Limestone Sculpture Symposium. Want to know more about Amy? Amy’s goal for TEDxBloomington “What Goes ‘Round” is to give her audience new ways to look at and think about local limestone. 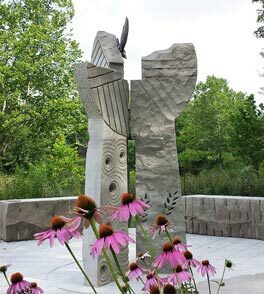 She discusses Indiana limestone as part of our cultural and geologic memory, explores the life energy contained in the stone, and shares her personal relationship with the stone. This video was recorded April 26, 2014, at the Buskirk-Chumley Theater in Bloomington, IN.